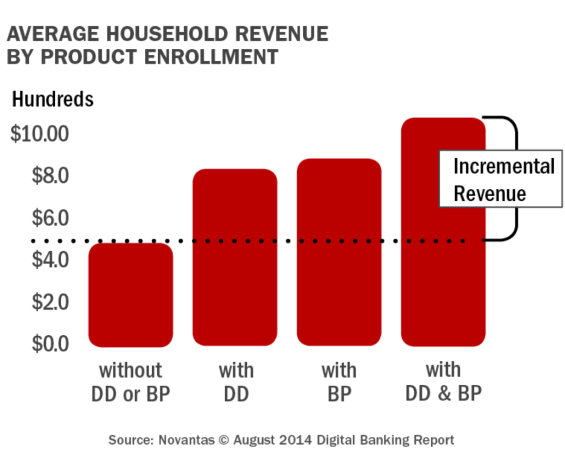 As the banking industry tries to manage costs and generate revenue in an increasing challenging environment, new customer onboarding remains one of the cornerstones of building a better consumer experience. These are some of the myths that stand in the way of success. 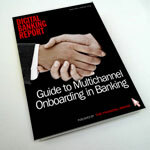 Is what you think you know about new customer onboarding costing your bank or credit union business? Are you spending money, but not getting the results you expected? These are important questions to answer since research shows that between 25% – 40% of new customers attrite in the first year of their relationship and that the negative impact of each attrited customer costs your institution $400 or more. In a webinar entitled, Busting the 5 Myths of Onboarding, I joined Deluxe as we discussed the major onboarding myths that cause financial institutions to fail at fully engaging new account holders, hindering their ability to maximize the profitability of new accounts and the loyalty of customers and members. It’s time to take a deeper look into these myths and debunk these commonly held beliefs.Below are the top 5 myths, insights into how they’re costing you money, and what you can do to turn these misconceptions into a more effective onboarding program at your organization. Research conducted by Deluxe shows that less than half of all FIs have the basics of a successful onboarding program currently in place. These basics would include a single point of authority, more than one channel of communication being utilized, and a formula to ask new account holders the right questions to build engagement. Without a single point of authority for your onboarding program, there is no ‘champion’ that can take ownership of both customer engagement and the new household cross-sell process. And, the key to an effective onboarding program is all about engagement. 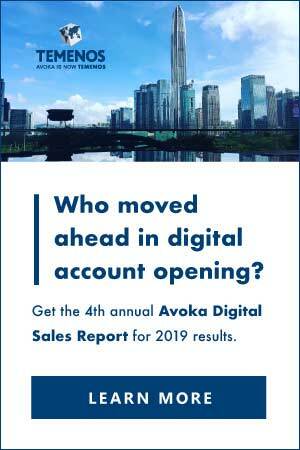 In fact, the revenue difference between an inactive customer or member and one that actively uses their checking account is over $200 according to research. Just send a welcome email or making a phone call thanking the new customer is not enough. 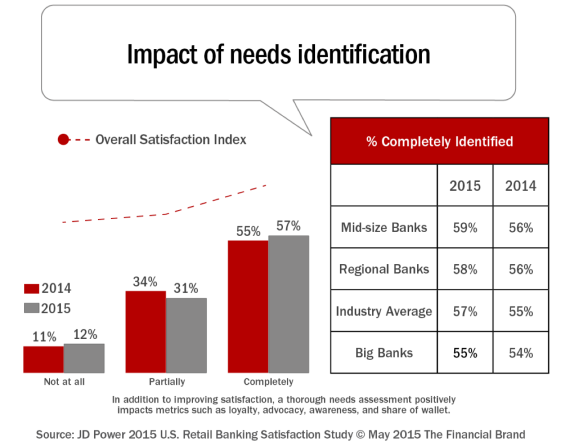 Effective onboarding programs combine needs assessment into the new account opening process. While this takes a while, J.D. Power has found that conducting a complete needs assessment increases customer satisfaction and provides the foundation for personalized communication later in the onboarding process. Email may be the workhorse of onboarding efforts, but email alone is not enough. Optimum results will come from a program that uses a multi-channel approach. Text messaging and email are important for initial communications, but new customers also put emphasis on direct mail. They want to see tangible evidence of their account opening, activities and their bank’s interest in the new relationship. Using multiple channels will not only increase retention, but will also increase engagement, improve cross-selling and increase customer satisfaction according to J.D. Power. While email may be a lower cost alternative compared to some other channels, combining your email efforts with other communication channels will improve your marketing ROI. Whether it’s done to save money or to streamline processes, some FIs choose to onboard only new checking customers or segment accounts and onboard only those they anticipate will become the most profitable. 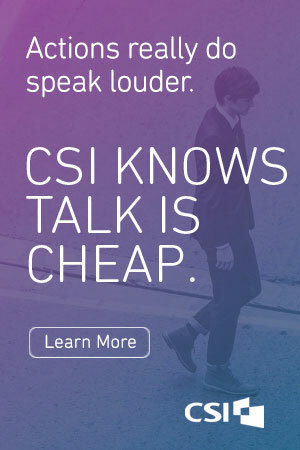 This leaves money on the table. “We’ve found that it is very difficult, verging on impossible, to accurately predict the potential value of a new customer. 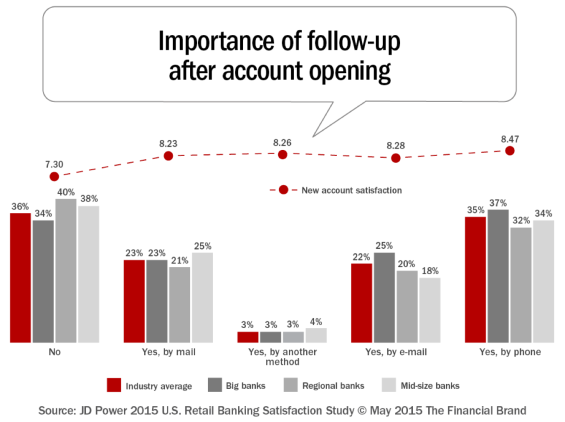 In fact, the profitability of a new customer is directly influenced by the effectiveness of onboarding and your ability to stem attrition,” states Todd Weiss, Director of Product management at Deluxe..
We have also found in our research that some of the best onboarding results are achieved from programs that include current customers who open a new checking account or households that open a loan or credit card relationship and are effectively onboarded. While the message and communication sequence may be different, there is always a positive ROI from building a welcome communications process for customers that open a new relationship. And don’t forget new small businesses. While much more of the onboarding process should be done 1:1 with the new business as opposed to just email and direct mail, the value of a ‘saved’ small business relationship can exceed $700! Popular belief holds that if you communicate too frequently with new customers they’ll get annoyed and potential leave your institution. Nothing could be further from the truth. In fact, research indicates that poor quality – irrelevant offers and lackluster communication – is more negatively impactful than delivering a high quantity of communication. Multiple studies show consumers actually want frequent, quality communications from their FIs, especially during the early days of the relationship. “Your customers have done their research and they’ve opened an account with you for a reason. Target that reason in your communications to them. There should be virtually no limit on the number of touches during onboarding,” says Weiss from Deluxe. A 2015 study from J.D. 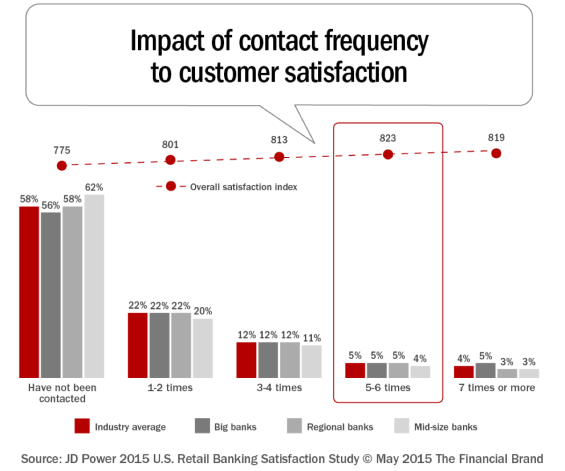 Power shows that customer satisfaction actually increases as the number of communications from a financial institution increase. Unfortunately, only 5% of households remember receiving the optimal number of messages (5-6). As mentioned, most households don’t remember being contacted at all (which may be the result of not having an onboarding process or not reaching the household). The final, and potentially the most damaging myth to building a mutually beneficial relationship between a consumer and their financial institution is ‘selling’ unrelated services too soon. Building a new relationship between an FI and a consumer is similar to dating, where it is important to build trust and understanding before moving to the next level of the relationship. Onboarding is the key to engagement, and engagement is essential for successful cross-selling. If you try to cross-sell services that are not logical ‘small step’ extensions of the product originally opened too soon, consumers may lack the level of engagement needed in order for them to be willing to act on your offers and information. 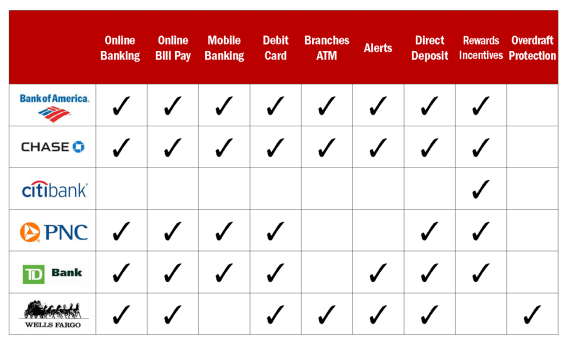 Services like direct deposit, billpay, online banking, mobile banking and overdraft protection are all important engagement ‘go with’ services that will help retain a new customer or member and build profitability. Even establishing customized alerts and notifications can enhance the ‘stickiness’ of the new relationship. 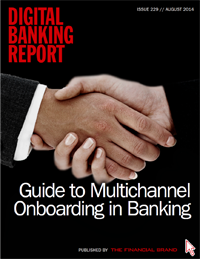 According to Comperemedia research, the majority of the largest financial institutions actively communicate with new customers using multiple channels to improve ‘go with’ services engagement. If you are interested in starting a new onboarding program within your organization or improving an existing onboarding program, there are resources available to help. In this webinar, Todd Weiss, Director of Product Management at Deluxe and I talk in further depth about the opportunities and risks of building an effective onboarding process and the myths that permeate the industry around onboarding. This article was originally published on September 29, 2015 . All content © 2019 by The Financial Brand and may not be reproduced by any means without permission.